KANSAS CITY, Mo. — Police continued to search on Tuesday for whoever shot and killed a 19-year-old man outside a pool hall the night before . The Missouri State Highway Patrol is handling the investigation and identified the victim as 19-year-old Riley McCrackin. 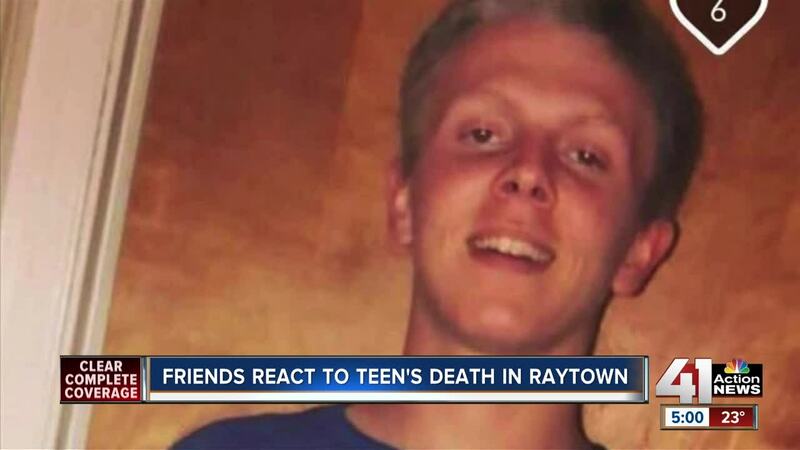 On Tuesday, his friends told 41 Action News that his death left them heartbroken. Keeton told 41 Action News that McCrackin lived in Belton and often made time for any friends in need. After hearing that McCrackin had been shot multiple times in the parking lot behind the Raytown Recreation pool hall off East 63rd Street, another friend said the violence didn’t make sense. Police tape could still be seen outside the pool hall on Tuesday. Investigators said two people seen running from the crime scene have not been found and no arrests have been made in connection to the shooting. Moving forward, Starlette Simpson hoped police could soon find whoever was responsible. Police ask anyone who may have information on the case to call the TIPS Hotline at 816-474-TIPS (8477). Friends are raising money to help McCrackin’s family with expenses. To donate, click this link .